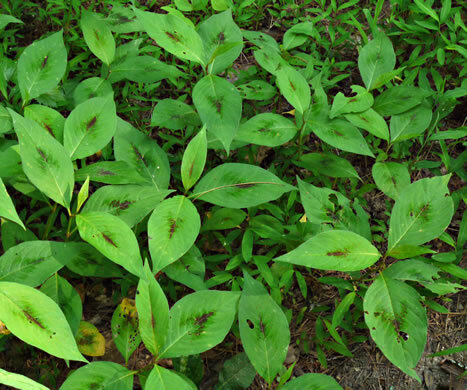 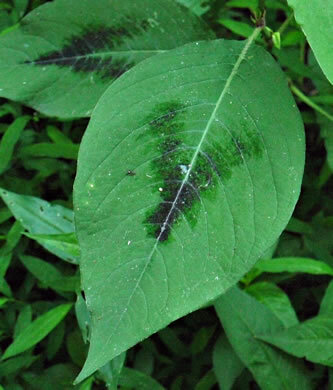 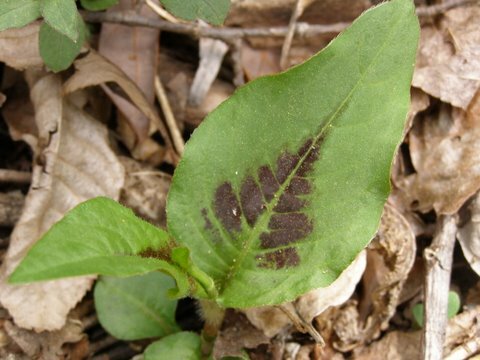 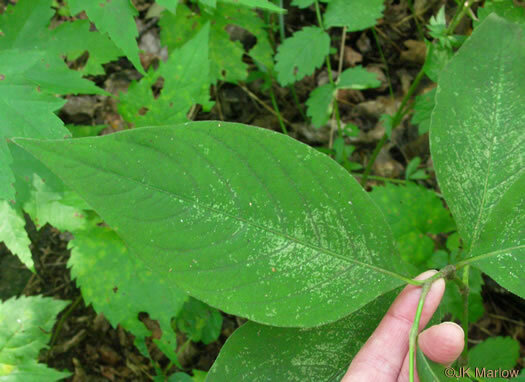 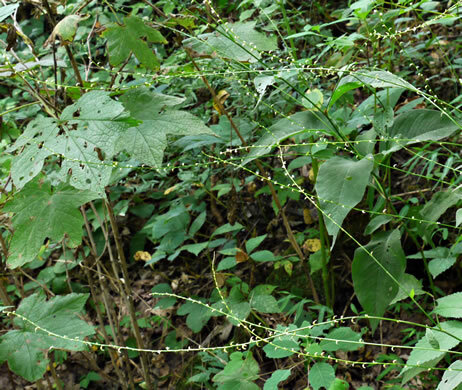 Leaves usually marked with a purplish/blackish, inverted "V" towards base, per Vascular Flora of the Carolinas. 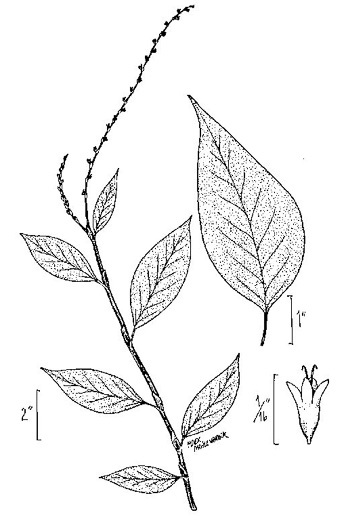 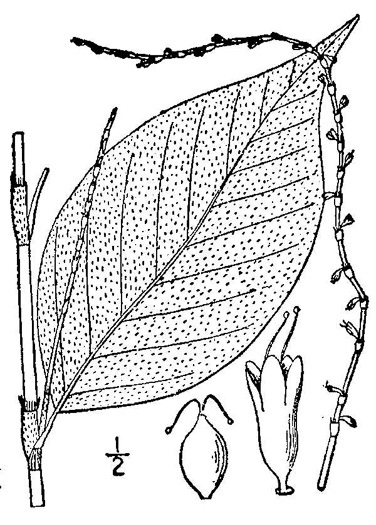 Leaves tapering to acuminate apices, per Vascular Flora of the Carolinas. 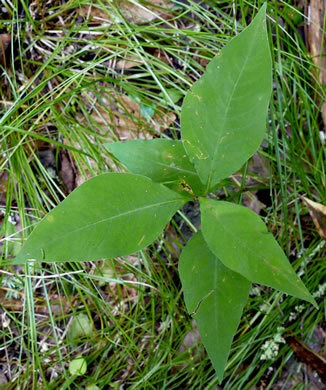 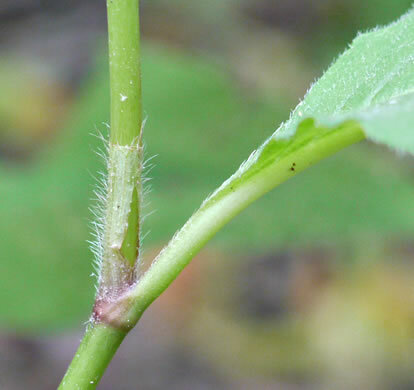 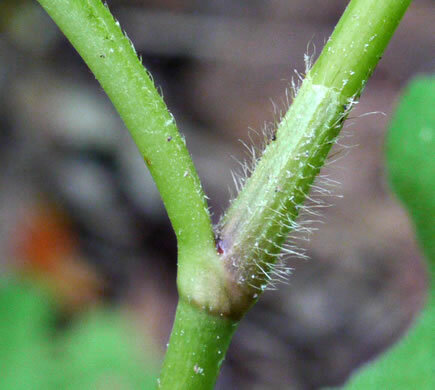 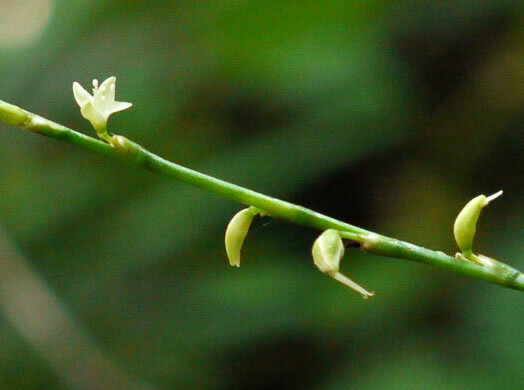 The base of the leaf stalk forms a short sheath (ocrea) around the stem, per Wildflowers of Tennessee. 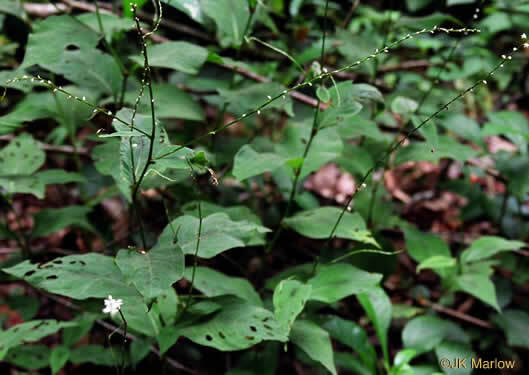 Flowers strung out along a slender terminal spike up to 18" long, per Wildflowers of the Southern Mountains. 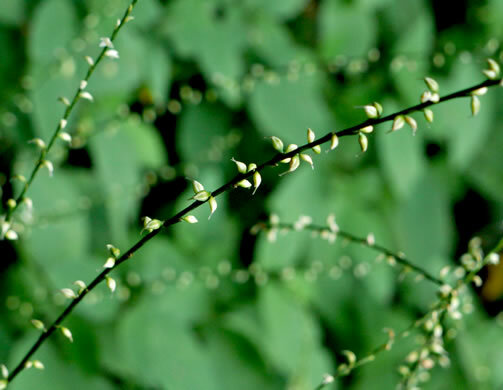 4 tepals ~ 0.1" long, with base of each flower or its stalk in a sheath, per Wildflowers of Tennessee, the Ohio Valley, and the Southern Appalachians.